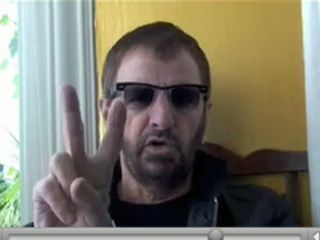 The late ex-Beatle George Harrison wrote the song Don't Bother Me, but it's Ringo Starr who really means it. In a video posted on his website, Starr says he has "too much to do" and warns he'll throw any fanmail in the bin after Oct. 20. Why he's chosen this date is unclear. "This is a serious message to everybody watching," Starr says in the clip. "I want to tell you that after the 20th of October please do not send any fanmail to any address you have. If that is the date on the envelope, it's gonna be tossed. Starr may not want your fanmail, but the ex-Beatle still wants your cash: For sale on his website are such items as a Ringo Starr tote bag for $19.95, a Ringo Starr hoodie for $54.95 and what everybody needs, a Ringo Starr Babydoll Tee for $34.95.